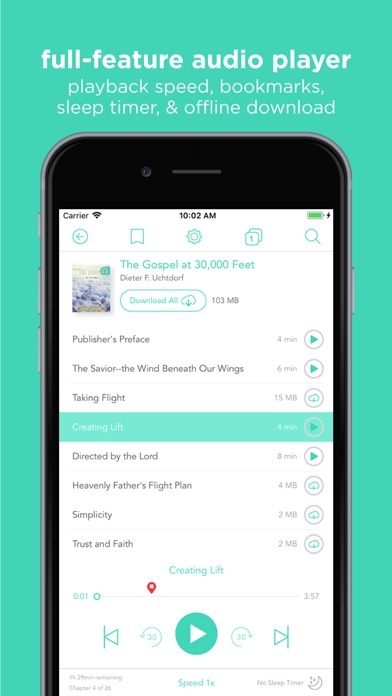 Search, study, and listen to the entire Deseret Book library with this powerful app. 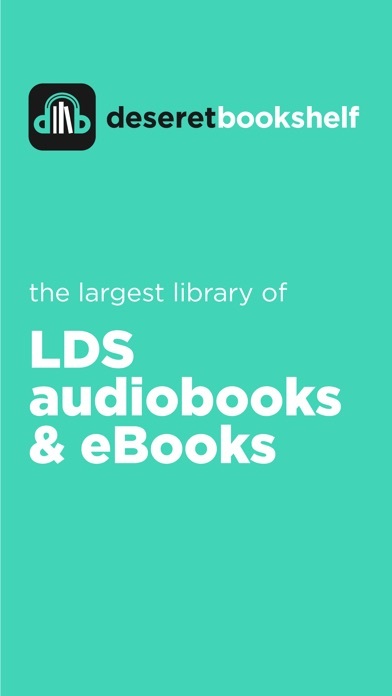 Deseret Bookshelf has been completely redesigned, making it the most comprehensive LDS audiobook player and eBook reader available. Start with 8 free eBooks and access to over 200 other free titles. Then you can either purchase individual ebooks, talks and audiobooks OR subscribe to Bookshelf PLUS and access the entire audiobook library and over 1500 ebooks and talks. ● Get recommendations on audiobooks and eBooks. ● Find plenty of free titles, ready for you to enjoy. ● Download an audiobook or eBook with a single tap. ● View the items you last opened on any of your synced devices. ● Listen to over 700 audiobooks and talks. ● Navigate between chapters and fast-forward or rewind by 30 seconds. ● Select Normal, Night, or Sepia reading modes. ● Customize fonts, font size,  and line spacing. ● Switch between Page-view and scroll-view options. ●  Switch between several open eBooks with tabbed reading. 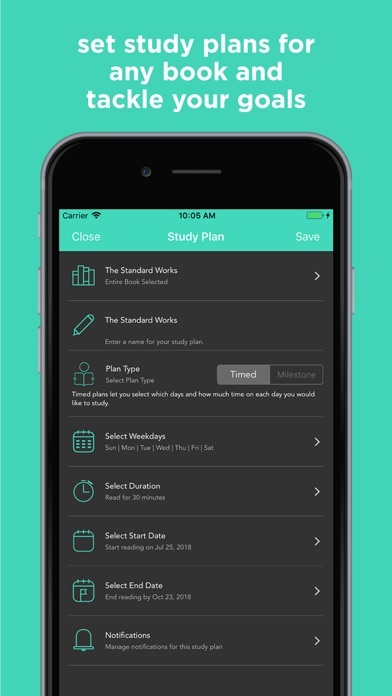 ● Save and restore study sessions with several items open at once. 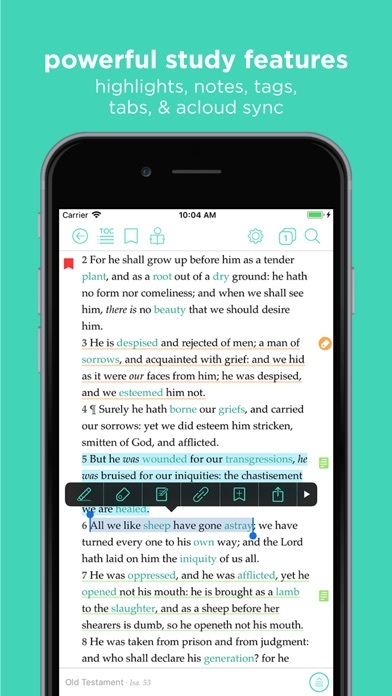 ● Access and back-up your notes, highlights, and bookmarks across devices. ● Search the entire Deseret Book digital library (over 6,000,000 pages) in seconds. ● Narrow your search through your personal library, the standard works, a conference session, or a single book. ● Find exact phrases, any, or all search terms. ● Access thousands of quotes in our quote vault which you can find by author, topic, or source. ● Get a spiritual thought or to help you begin your day right. ● Mark favorite quotes and add them to the vault. ● Find the source of favorite quotes, and explore the content more deeply. ● Receive daily inspiration with a new quote delivered to your device. Set a reminder on a daily or weekly basis. ● Easily share favorite passages with anyone through email, Facebook, and Twitter with image quotes. Plus the entire Standard Works, LDS lesson manuals, and General Conference talks. 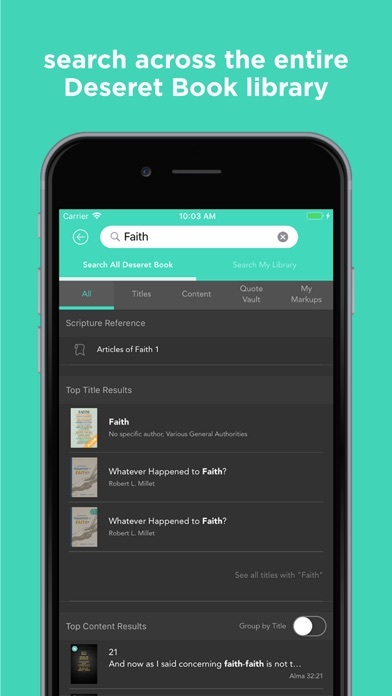 LDS scripture references within eBooks are linked to the entire standard works, allowing you to easily explore scriptural connections within your library. Shop our eBook store for over 3,000 LDS eBook titles and other world classics from your favorite authors. Shop our audio store for over 500 titles. Download many official Church publications for free, including curriculum materials and reference books. 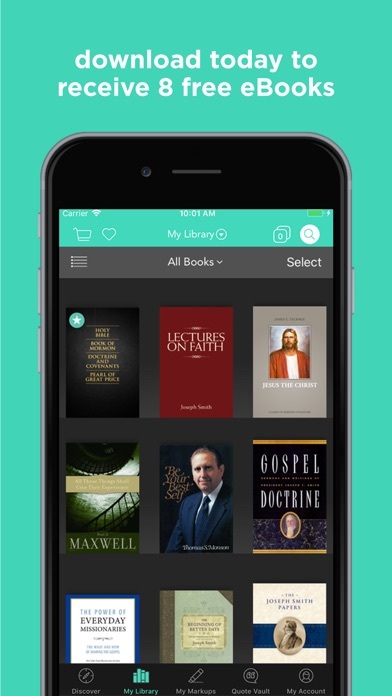 Bookshelf PLUS includes access to every single Deseret Audiobook and over 1500 ebooks and talks. by Vital Source Technologies, Inc.
by Deseret First Credit Union Inc.